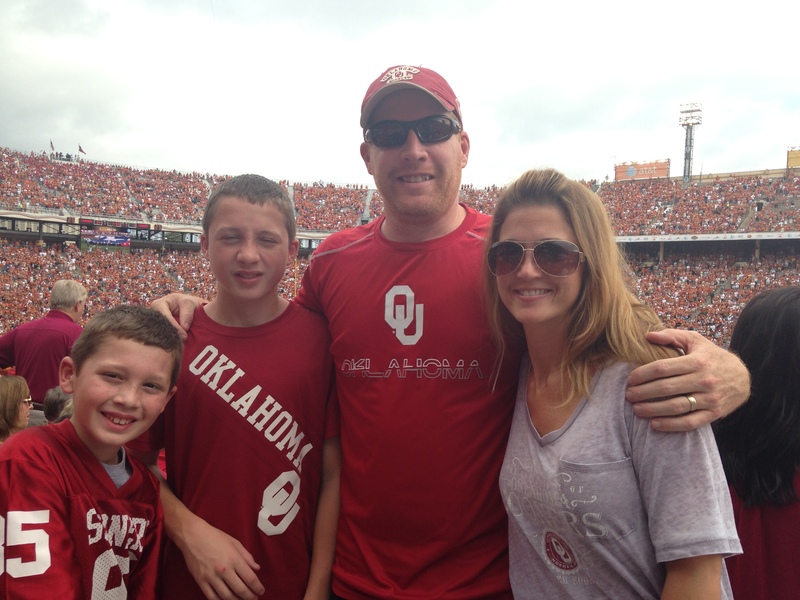 My bizarro weekend, i.e., the reason OU lost to Texas. 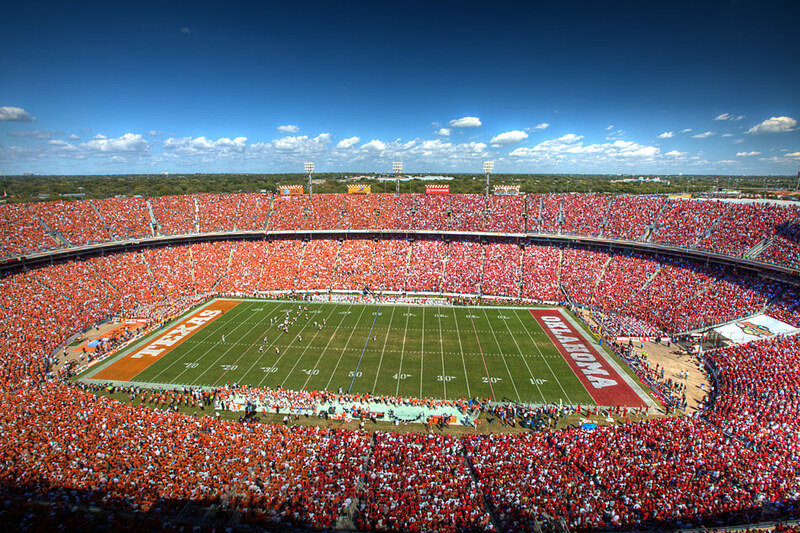 It started off when Bethany Public Schools made the decision to not have Fall Break land on OU/Texas weekend. This meant we couldn’t leave early, we had to wait for the kids to get out of school. Then, I made a critical wardrobe mistake. 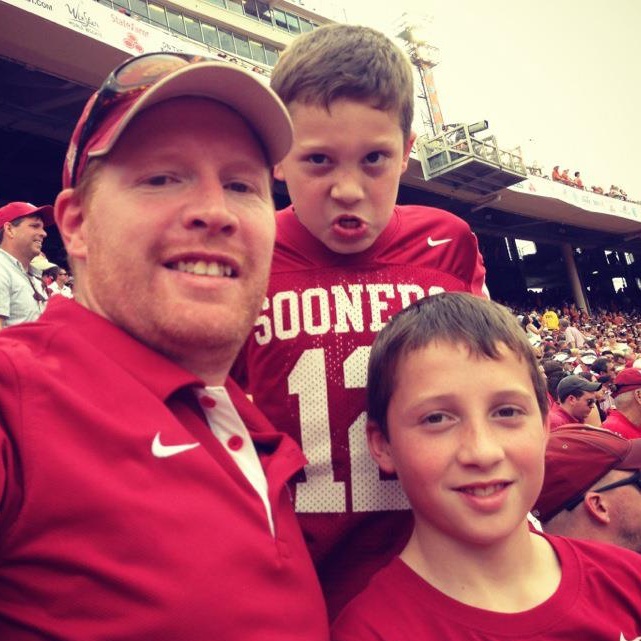 The last two years, I wore an OU Tshirt to dinner on Friday night in Dallas, and an OU Polo to the game. This year, I’ve got a new dri-fit Tshirt that I wanted to wear during the game, because it was going to be hot and it would be more comfortable. So, I did the polo on Friday, Tshirt on Saturday. After looking at these pictures all together, I should get bonus points for having the same sunglasses, three years in a row. Next, we get to our hotel, the same hotel we have stayed for the last two OU/Texas games, however, this year, they put us on the opposite side of the hotel, meaning, our room was backwards. Instead of the comfortable feeling of our beds being on the West side of the room, they were now on the East. Our mirrored world was beginning to be exposed. Our Friday night dinner destination, as always, was Pappasitos. For the last two years, we’ve sat almost at the same table, but definitely in the same section, on the right side of the restaurant as you walk in. This year, they put us to the left. Coincidentally, I also usually park on the right side of the restaurant parking lot, but it was all full, so I had to park around back. On Saturday morning, as always, we took the DART train to the fairgrounds. It went off without a hitch. Except, we never did find a Starbucks for Amy’s traditional pregame coffee for the train ride. No worries, she said she’d settle for a State Fair cinnamon roll. Well, after 20 minutes of searching, these no longer exist. Now, Amy is about to sit in 4 hours of 90 degree football, with no coffee, and no breakfast. No bueno. Because of our search, we entered the stadium on the East side, instead of the main West side entrance, site of our traditional pregame, walk up the stairs family pic. Thus, no family pic was taken. At our seats, still oblivious to all the damage we’ve already done, we watch the OU band take the field. It’s a beautiful site and it truly is the loudest ovation these band members get all year. It’s their shining moment. They undoubtedly look forward to this moment more than any other. In front of the band, on the field are the 10 flag girls, who proudly carry the flags of all 10 members of the Big 12 conference. None more proud, than the carefully selected girl, who gets to boldly and confidently carry the OU flag, in the OU/Texas game. I’m sure she’s a senior, carefully selected for this coveted spot. These girls march on to the field, in front of the band, and stand up tall. 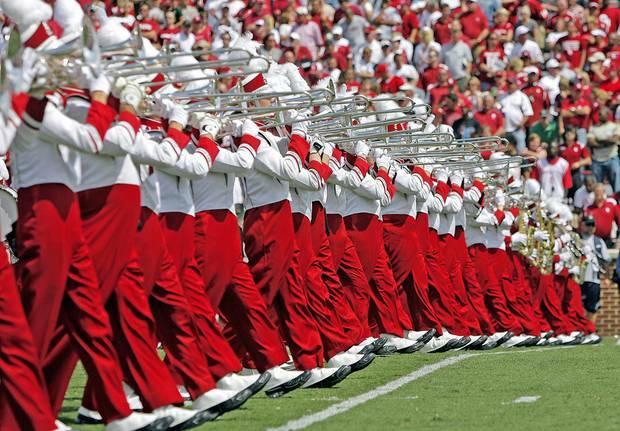 Once in position, as the band plays the state song of Oklahoma, they march in place. 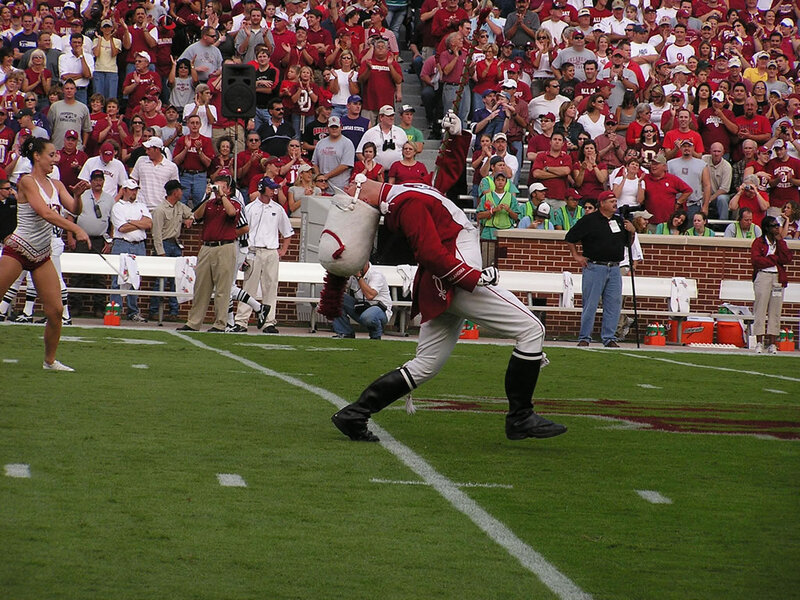 Waiting for the exact moment of the song, where they’ll begin marching down the field, following the iconic Oklahoma drum major. Well, little did we know, that there must have been a higher power at work this day. Call it a voodoo, a hex, a jinx, or whatever, but it played out right there before our eyes for 60 minutes of football, and it was foretold on the field 19 minutes before kickoff. Whoever was responsible for what we were about to see happen in the game, tipped their hand in the pre game. The smiling, proud, confident girl, carefully selected to LITERALLY carry the OU flag onto the field, and march proudly in place, unexplainably, falls down, while simply marching in place. I don’t know this girl’s name, I don’t know her background, but I’m sure thoughts of transferring immediately entered her mind. Somewhere in a dark mud hut on a bayou in south Texas, there just had to have been a Longhorn fan, who sold is tickets and probably his soul, to be on the bayou that day, carefully pricking the hopes of Sooner fans everywhere. The trickle effect that started with my bizarro weekend decisions, carried over to the band and the players. 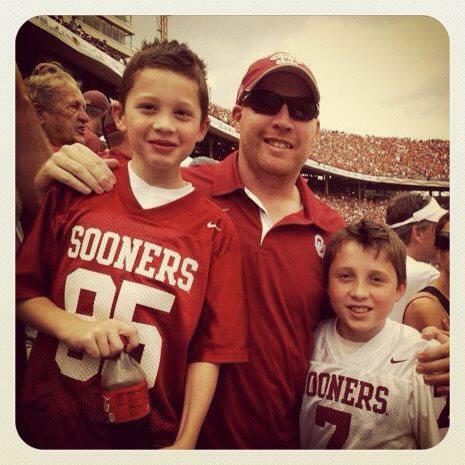 And that’s why Oklahoma lost to Texas. Oh, and because Oklahoma refused to call Quarterback running plays, when they have a stable of 3 who are very capable, against a team who had repeatedly proven it couldn’t stop any running QBs. But mainly, because I wore the wrong shirt. Bo love the blog it takes a big man to admit their guilt. done a fantastic task on this matter! On this site there is no have to download any knowledge to your HDD, without riscs off downloading any viruses.